Titanium tetrachloride Colorless is fuming liquid with a pungent odor, Corrosive to metals and tissue, Very toxic by inhalation. Reacts with water,Incompatible with moisture, ammonia, amines, alcohols, potassium and other chemically active metals. Can manufacture of titanium compounds, iridescent glass and artificial pearls. Formerly used with potassium bitartrate as a mordant in textile industry, and with dyewoods in dyeing leather, also as smoke-producing screen with ammonia. Looking for ideal Good Quality Titanium Tetrachloride Manufacturer & supplier ? We have a wide selection at great prices to help you get creative. 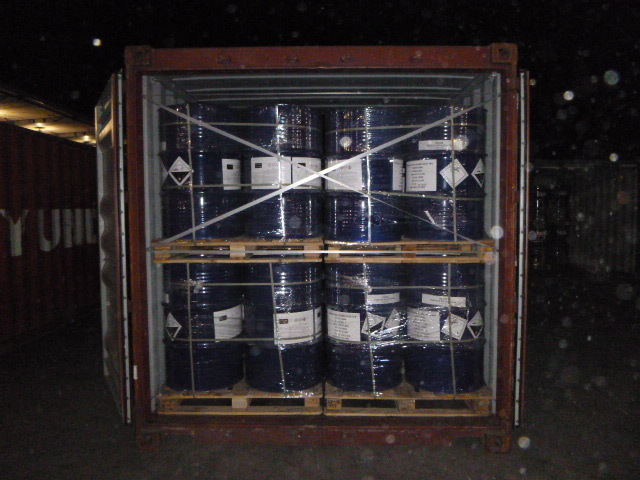 All the Good Quality Titanium Tetrachloride are quality guaranteed. We are China Origin Factory of Good Quality Titanium Tetrachloride. If you have any question, please feel free to contact us.